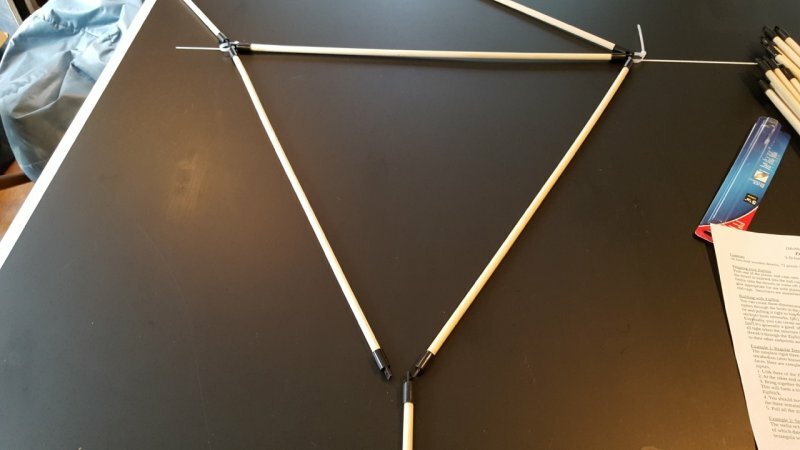 Pieces required: 6 ZipStix and 4 releasable zipties. 1. 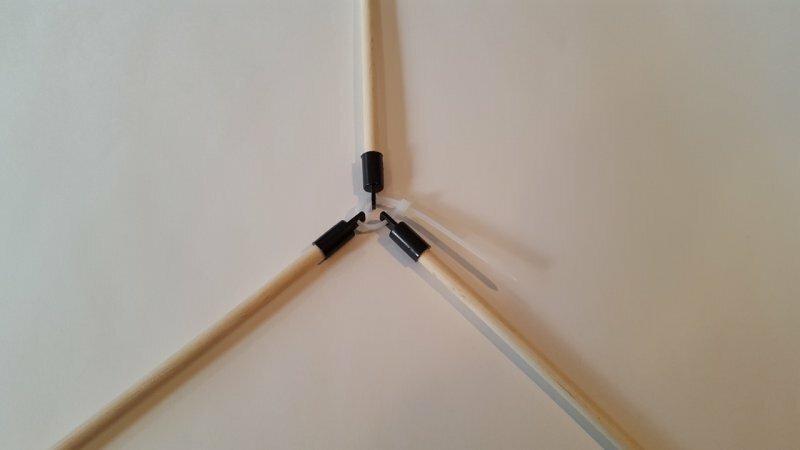 Link three of the ZipStix together at one end. 2. 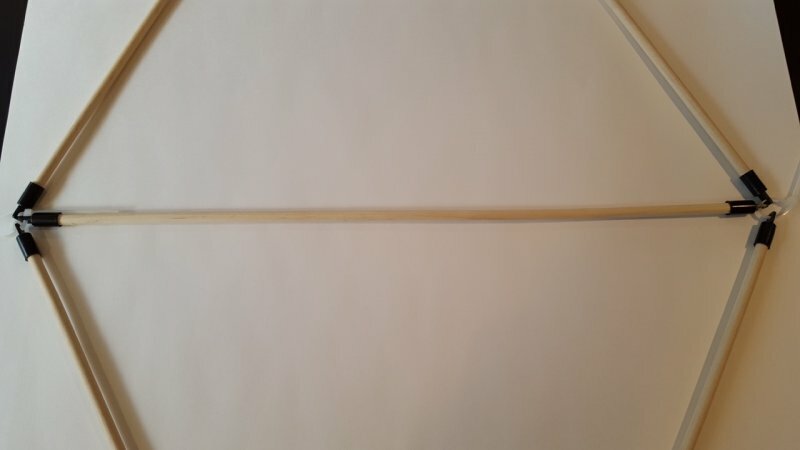 At the other end of one of the first three ZipStix, link two more on. 3. Bring together the free ends of two of the ZipStix which are not yet linked together. 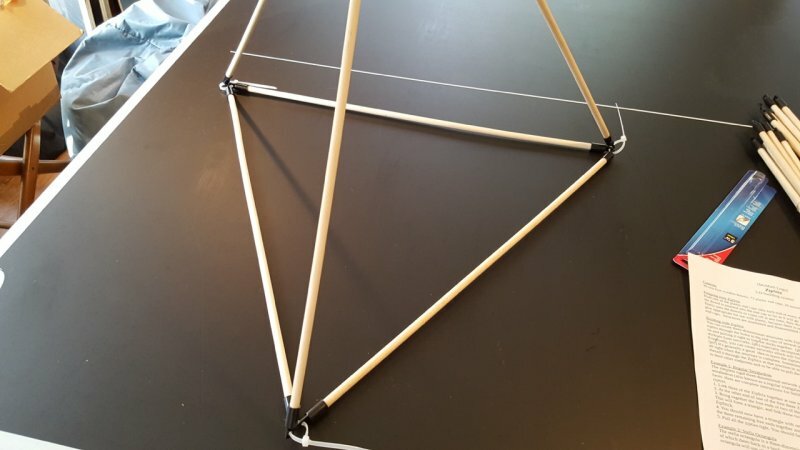 This will form a triangle, and link those two free ends together with one end of the sixth ZipStick. 4. You should now have a triangle with one extra ZipStik linked to each corner. Bring the three remaining free ends together and link them. 5. Pull all the zipties tight. 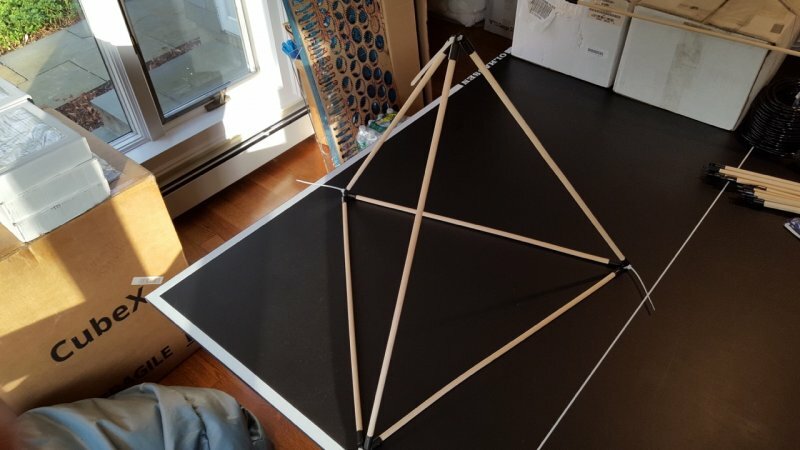 You should have a very rigid triangular pyramid. Open the gallery below to view photos of instruction steps.